this is going to be major. i’m hyped to meet and rock with some revolutionary hip-hop icons tonight. all part of 5 days for the Cuban 5. 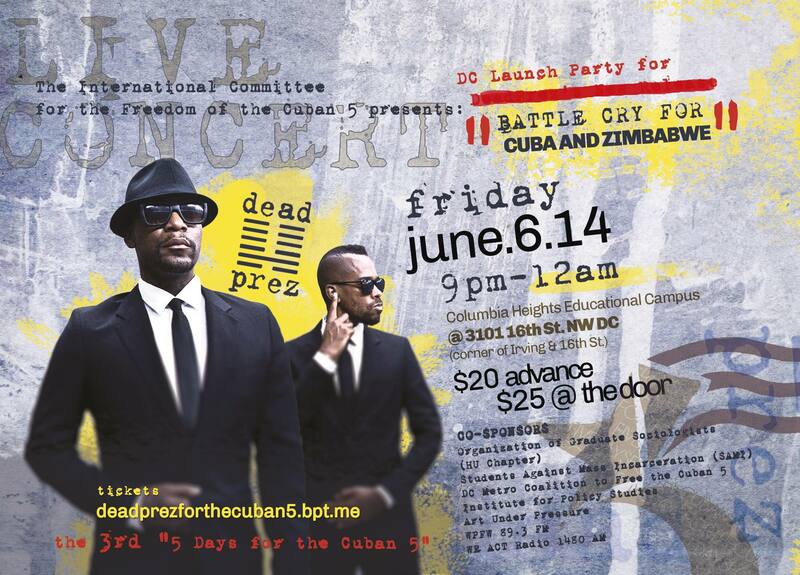 The International Committee for the Freedom of the Cuban 5 presents the DC launch party for “BATTLE CRY FOR CUBA AND ZIMBABWE,” a project of M1 and Obi Egbuna Jr.
$20 advance, $25 door, cash only.